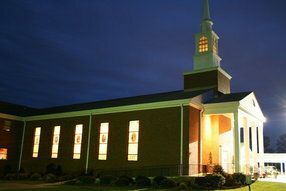 Chula Baptist Church is a small rural S. GA church with a warm family atmosphere. Our goal is to love everyone who comes through the doors with the love of the Lord. If you are looking for a church that believes in preaching the Word of God, pastoring the people, and leading with a Kingdom focus, you've found us! Come on in, plug in, and grow and serve with us. Our services are very relational oriented. We seek to engaged the entire person in the worship experience. We integrate different elements in our worship service as well. From videos, to reader's theaters to other dramatic elements our goal is to help you see Jesus using a variety of worship tools. Our church community is usually described by two words: loving and friendly. You will experience the love of Christ and the friendliest people in this part of S. GA. You will hear that Christ wants a love relationship with you that is real and personal. You will be welcomed. Come as you are, and worship with us. Go here? Tell us why you love First Baptist of Chula. Visited? Tell us what a newcomer can expect. Enter your email address to receive an informative welcome email from First Baptist of Chula.